Pathogenesis of oncogenic viruses, virus-host interactions, viral latency, miRNAs, long noncoding RNAs. 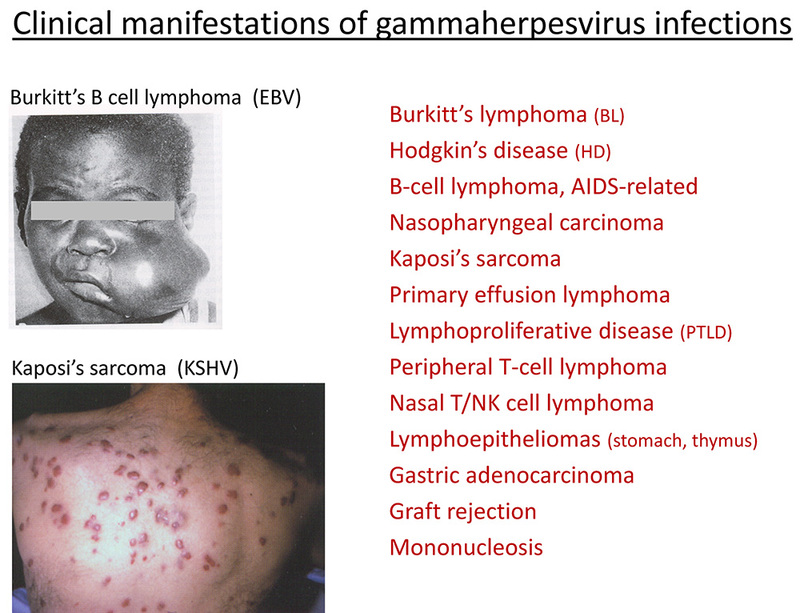 Gammaherpesviruses such as Epstein-Barr virus (EBV) and Kaposi’s sarcoma-associated herpesvirus (KSHV, HHV-8) are associated with multiple diseases in humans, including lymphomas, carcinomas, and Kaposi’s sarcoma. Murine gammaherpesvirus 68 (MHV68, gHV68, MuHV-4) is genetically related to EBV and KSHV and causes lymphoma in mice, providing a small animal model for mechanistic in vivo studies of the virus/host relationship. Gammaherpesviruses evade the antiviral immune response by establishing a semi-dormant state called latency, facilitating life-long infection of the host. Our research program is focused on determining the mechanisms that these viruses use to establish latency in vivo, with the long-term goal of elucidating new targets for the prevention and treatment of gammaherpesvirus diseases. (i) the role of virus-encoded miRNAs and long noncoding RNAs in latency and tumorigenesis. (ii) the molecular mechanisms used by gammaherpesviruses to establish latency in B cells. (iii) the role of developing B cells in chronic gammaherpesvirus infections. The long-term goals of these studies are to better understand the complex interplay between these viruses and the host immune response, and to define how alterations in this relationship can result in the development of lymphoproliferative diseases and lymphoma. reach me at: stibbe@ufl.edu, or phone 352-273-5628. Associate Professor, Department of Molecular Genetics and Microbiology of the University of Florida College of Medicine.